We at Must See In Iceland want you to visit Iceland but we are also determined on making your stay as lovely as possible. Must See In Iceland aims to guide you through Iceland like a friend. An extremely good friend who tells it like it is. But with a dash of humor, because what is life without humor? We want to show you the gems that are hidden in Iceland, not just those who are made by Mother Nature, but also the restaurants, the museums, the bars, the attractions, the shops and places that are well worth the visit – even though they are not mentioned in every other guide book you read. The same goes with the tours we sell. We won’t offer you 100 different Golden Circle Tours to choose from. We’ll narrow it down to the tours we think you get the most out of and recommend them to you. Sounds good, right? Well, it is! 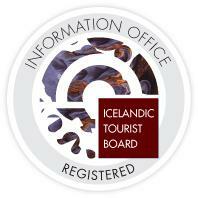 So join us on a trip around Iceland you won’t forget. We’re ready for you. Are you ready for us?